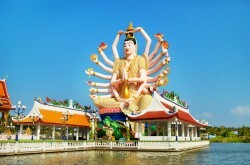 The Sam Pan Nam Floating Market is a beautiful shopping center that is on a large manmade lake dotted with islands. This is one of the two floating markets that are just a short drive from the center of the town of Hua Hin. The style of this market is retro and each structure has been constructed with the 1920s in mind. This market was designed to remember the days when King Rama V and King Rama VI ruled the area and it shows in all the sign posts, railings, folding doors, and roof tiles. A unique feature in this market is all the moored fishing boats where people can climb onto the decks and have their picture taken. Once people have done that, they can venture over to the replica train station, which is at the back of the market. This is where a miniature tourist train can be seen traveling around the track and visitors are encouraged to take it for a ride. There are forty boat vendors on the lake and another two hundred shops lining the shores. All the shops look exactly like the shops in the town of Hua Hin, but these are only one story tall. 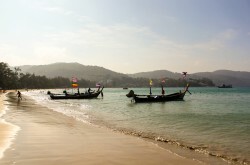 Each one of the shops and boat vendors sell either souvenirs, clothing, and delicious Thai cuisine. People wandering through the Sam Phan Nam Floating Market will find themselves needing to choose from a large variety of food when they get hungry. 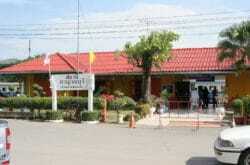 They can choose from snacks or a number of ready to eat meals that include grilled meat skewers, noodles, and seafood. Of course, no trip to the market or meal would be complete without one of the amazing desserts that is available for purchase. 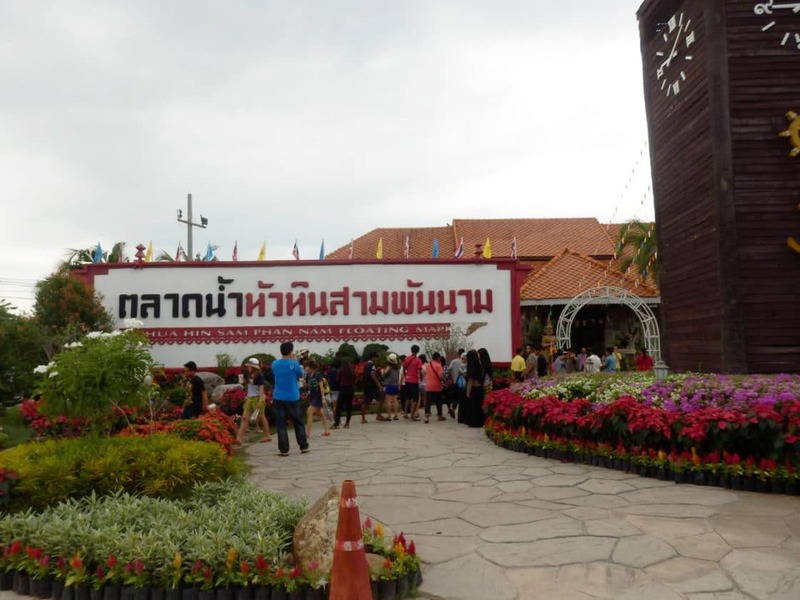 If the shops, food vendors, and miniature train weren’t enough, people can also see one of the numerous cultural shows that are performed at this floating market. Visitors are encouraged to check the calendar to see when each of the popular shows are scheduled for. Anyone that visits the Sam Phan Nam Floating Market will find themselves having a fantastic experience and is very much worth adding to your itinerary during a stay in Hua Hin.